This book tells the story of a hurting family, an amazing little girl and a mysteriously faithful God. 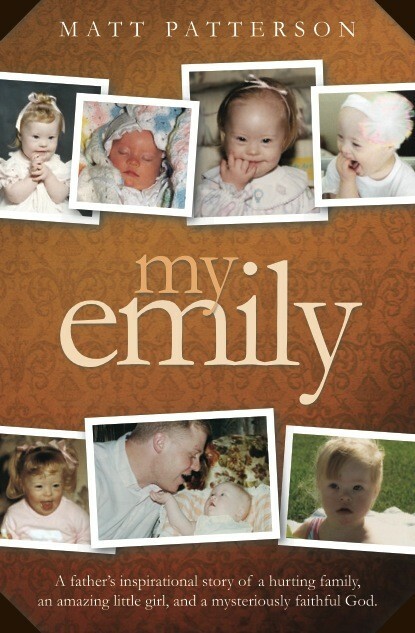 Emily wasn't born perfect - so one might think. She was born with Down Syndrome and many would jump to the conclusion that she would have very little hope for a life with any significance. Two years later came the diagnosis of leukemia. What little hope remaining turned to no hope whatsoever - or so one might think. The life of this little girl, with all its perceived imperfections, had great meaning. Her loving nature and courage touched the hearts of everyone she met. She also taught them how to value their own lives - even with their many "imperfections." Note: A portion of the proceeds from the sale of this book will help families with special needs children, those who are battling pediatric cancers, as well as parents grieving the loss of a little one. A native of Baltimore, Maryland, Matt Patterson is an award-winning writer, editor and communications professional. His two-plus decades of experience include public and media relations, as well as print and broadcast journalism. He volunteers his time to helping organizations and charities dedicated to assisting families with children who have special needs or those battling pediatric cancers. Matt resides in Arizona with his wife, Bonnie, and two daughters, Lauren and Kimberly. Very inspiring story, it feels like you know Emily and that you cry and laugh with her family and her , such a beautiful soul and Angel. You see it through her father's eyes that wrote his story and it touch you very much, keep the kleenex close! 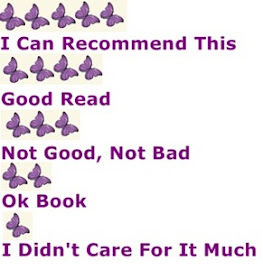 I highly recommend it especially when you have a special Angel yourself. Matt's page click on his name. 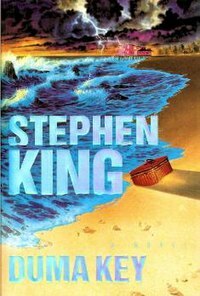 Great book, but I am a big Stephen King fan, I love his way of writting, he pulls you into the book, you are there, and just want to read more and more and feel sad when the story ends, that is what happened to me in this book too, I could not lay it down. Edgar Freemantle is an construction worker who has a terrible accident and lose his arm and many more injuries, he goes to Florida where he rents "Big Pink" and he meets the wonderful Wireman and picks up drawing again and later also painting, his paintings come to life as he made them to me, question is, does he paint them or ??? curious?? read it! It is a fun read, about Nel and 2 other females on the island, they both become the "new sisters" of the island , I can't wait to start the second ook, since this is a trilogy. 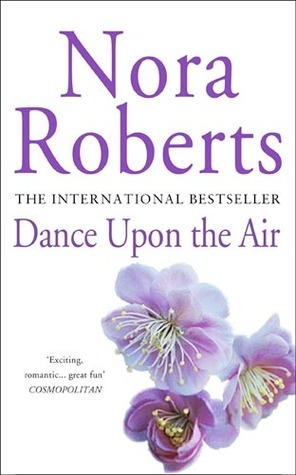 I do like Nora's books, they are fun, easy reads, when you want some lighter material this is it! ends all their many shortcomings. This is an well written book, lots of plots and sub-plots but good to follow, also hilarious at points. I loved the characters, (father) Martin & (son) Jasper, I so lived with them, the book kept me on my toes and all I wanted was reading more and more, I sure do hope that Steve will write another book about how the son is doing..... Great red, I can recommend it. Buying a new vehicle is a big decision, but frustrated sales associate Shamus Ryan makes it a matter of life and death. He unleashes a rash of killings that wraps the Wilmington, Delaware region in fear. The homicide cases fall to State Police Detective Paul Chang, formerly with the NYPD. Never Chinese enough for his domineering mother, yet too different to be accepted as traditionally American, he's spent his life straddling two cultures. From a young age, bullying in New York's Chinatown gave rise to a vigilante-inclined alter-ego he calls "The Dragon." His ex-partner, Nelson Rogers, is his closest friend and biggest burden. Always a misfit, Nelson left the NYPD following a nervous breakdown. When the bodies pile up and the pressure mounts, Chang calls in Nelson to apply his uncanny insight that made the two an effective team in New York. Seen through the eyes of both the killer and detective, Final Price follows a car salesman's murderous rampage. Paul Chang detective and the really disturbing car salesman Shamus Rayn. Paul clearly between two worlds (Japanese & American culture) fighting to be accepted, he has a good way of thinking that leads him to this killer, a good story I read it in almost one breath .